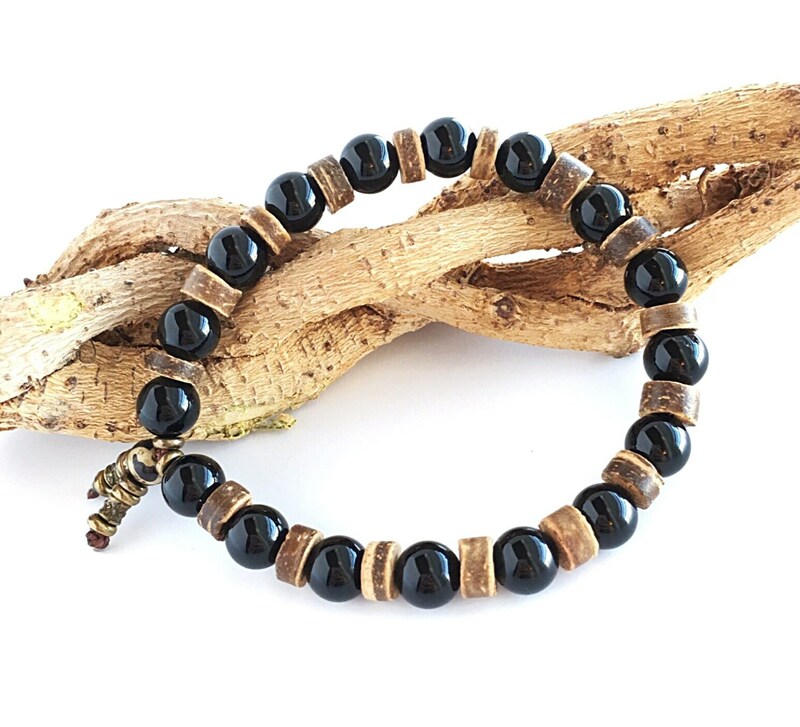 The Men's Protection Mala Bracelet features luxury Black Onyx gemstones along with earthy raw coconut shell to offer strength during times of stress and to shield you from harm and negativity. 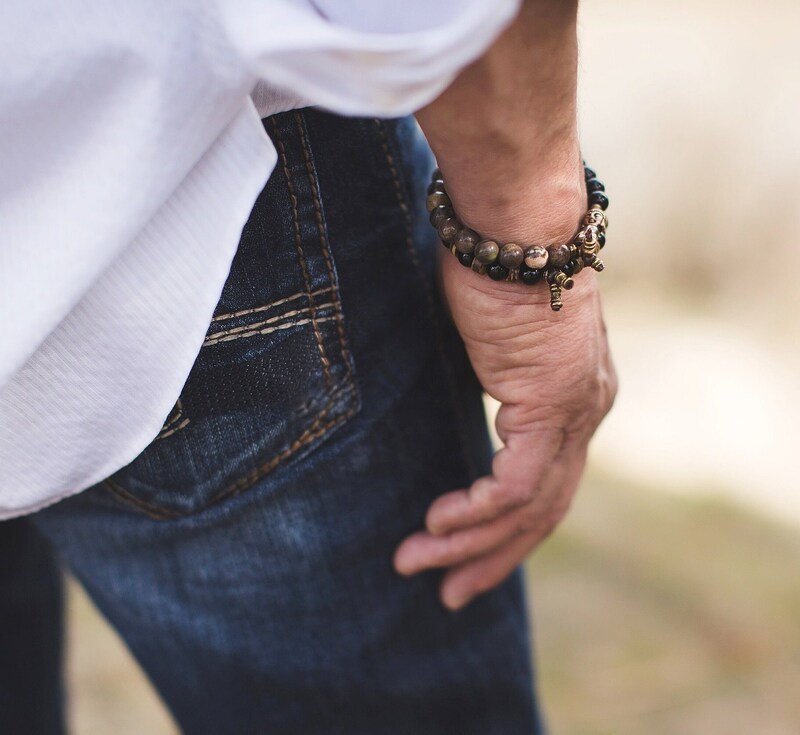 *Last photo features the Men's Protection Bracelet and the Men's Strength Bracelet (each sold separately). Reiki is the ancient Japanese practice of balancing energy. When Reiki energy is infused into crystals, it magnifies the healing power. It actually 'charges' objects with protective, positive energy and increases the effectiveness of a crystal's natural healing vibration. 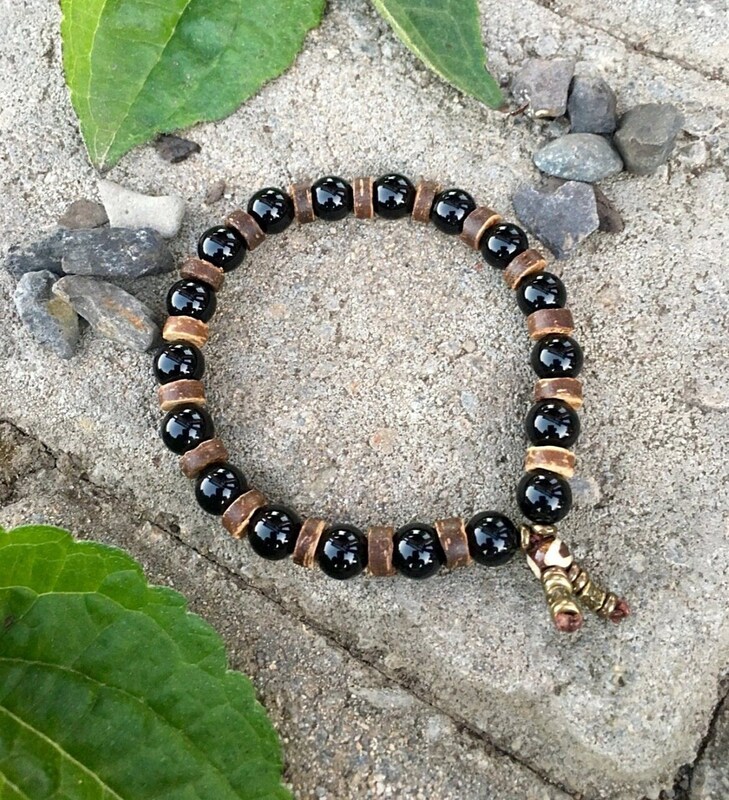 Reiki infused jewelry can then be given as a gift to someone who needs a bit of a boost, or to yourself when you need an extra dose of self love and healing.